Bright Katey Ocansey, Medical Laboratory Scientist, New Hope Specialist Hospital, Aflao, Volta Region, Ghana. How Bright has helped GAFFI so far: Led estimation of burden of serious fungal infections in Ghana. Introduced GAFFI to relevant departments/units and individuals of the Ghana Health Service for future engagements. Also initiated country burden estimation in Togo. Assisted in obtaining a support letter from Togo for acceptance of fungal keratitis as an NTD by the WHO and working on one from Ghana. Publicizing GAFFI and its affiliated entities (LIFE & Aspergillus website) resources through institution visits, talks, seminars, social media and dissemination of booklets/leaflets. 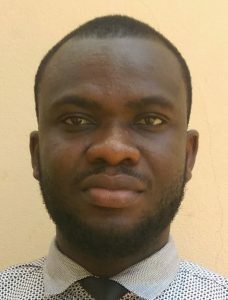 Personal comment on the major needs in Ghana which GAFFI should be addressing: Increased awareness especially among health care professionals and relevant stakeholders should be the priority as this would particularly increase index of suspicion among clinicians and attract attention from the government. Furthermore, there is the need for the training of at least one Clinician/Scientist in medical mycology to act as a national resource person(s) and spearhead the training of more professionals. Also, with currently no specialist mycology laboratories and existing medical research institutes/laboratories having no mycology unit’s establishment of a National Mycology Reference Centre would be helpful. The Centre would then facilitate the introduction of basic fungal tests in at least district and regional hospitals. Finally, supporting the registration of unavailable antifungal drugs mainly those on the WHO essential medicines list.